Create a healthy self image. Learn the art of self appreciation. overcome your limiting beliefs about yourself and develop a healthy and positive self image. How does coaching help you increase your confidence? Confidence coaching guides you forward into a life with higher self esteem. You’ll learn to think positively about yourself. It’s easy to doubt yourself after failure or disappointment. And coaching is an ideal method for rebuilding confidence. So much in life depends on your confidence. You have to believe in yourself before others will. Coaching is a supportive and encouraging process that puts you on a fresh path. Your confidence will increase as you adopt a new way of looking at yourself. Confidence coaching is all about making a plan for future achievement. You and the coach will talk about issues that are holding you back, but only so you can shift your focus away from the negative. Coaching is the process of designing solutions and new strategies going forward. This is a very liberating path. And every new success will increase your confidence. You’ll discover how much you can do. And the coach will be there to applaud your efforts. 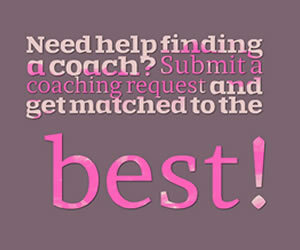 Coaching is the perfect way to start getting positive feedback. Sometimes you just need a little help to jumpstart your self esteem. 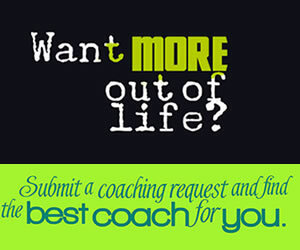 Create your best self with coaching and access your potential. You can leave behind difficulties that are dragging you down when you work with a coach. Coaching shows you a way to set aside fears, old traumas, bad self image, and negative thinking. When you nurture your confidence, new opportunities will start to pop up around you. When you have more confidence, you’ll stop judging yourself too harshly. Instead, with your new and positive outlook, you’ll recover from setbacks and go forward. The success you’ve always wanted will come when you are more confident. Coaching teaches you how to believe in yourself and set realistic goals. With the self-supporting skills you learn from coaching, you’ll go after your dreams with new enthusiasm. Anyone can benefit from confidence coaching. With a belief in your own value, you’ll be strong going forward and enjoy a fulfilling life. Learn about life coaching, what it is and what to expect..
3 Quick Ways To Take Control of Your Life!